The Canal du Midi (1) connects the Mediterranean sea with the Atlantic Ocean. It was built at the end of the XVII century under the supervision of Pierre-Paul Riquet. At the time it was one of the most remarkable civil engineering works and that has deserved its recognition as an UNESCO World Heritage Site. Along the canal there are plenty of beautiful spots and some oddities. 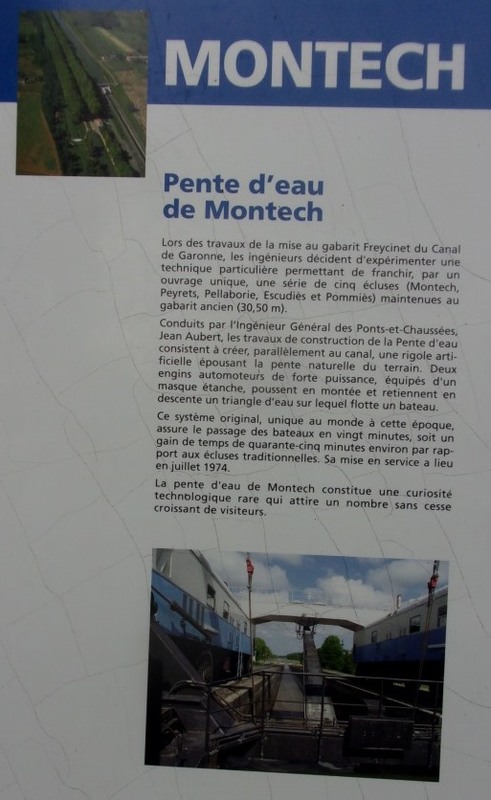 Some weeks ago, we visited one of the latter ones: the Pente d’eau of Montech, that is, a water slope. What is a water slope? When two water streams at different heights need to be connected we are used to see water locks (think of the Panama Canal, or Suez). In the Canal du Midi there are dozens of locks (65 to be precise). However, engineers in the 1970s employed a time-saving different approach. 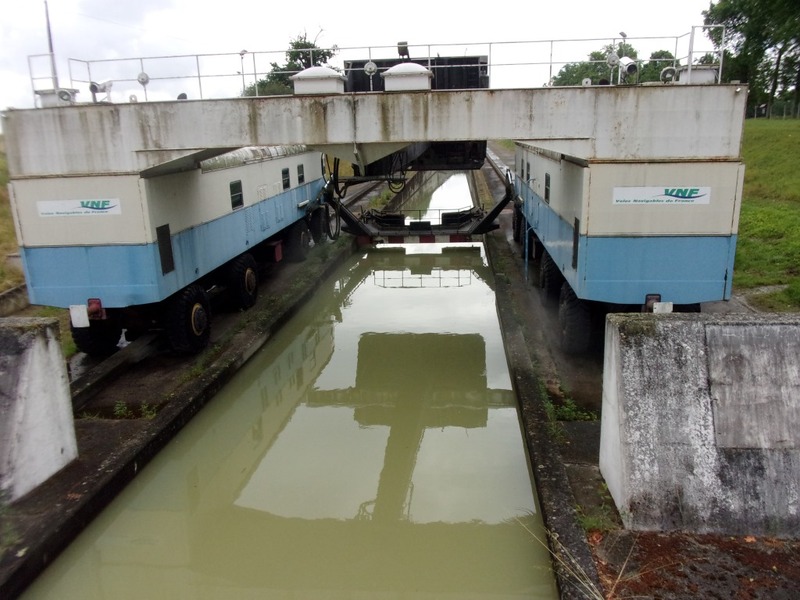 Instead of having the boats go through 5 such locks at Montech they constructed in parallel a water slope, thus saving 45 minutes in the route. 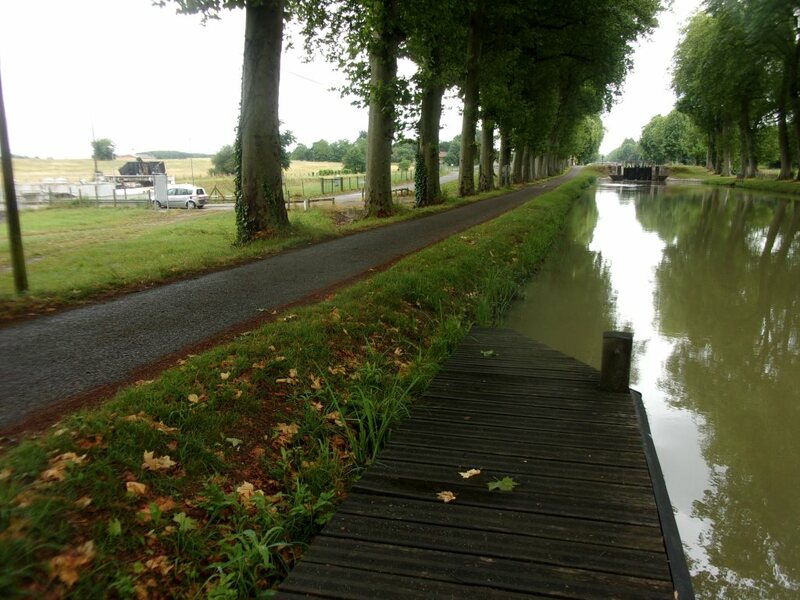 Canal du Midi to the right, water slope to the left. Explanation of the water slope (in French). See here the explanation given by the Wikipedia. 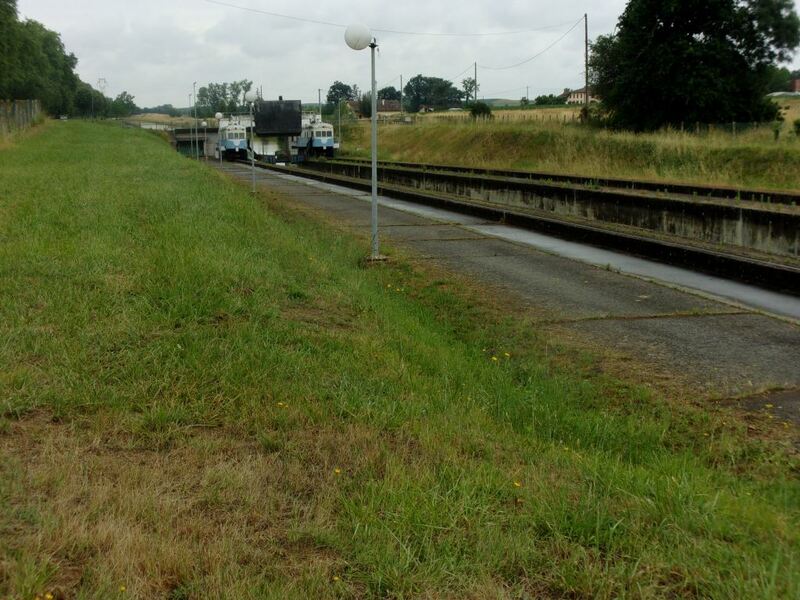 See below a couple of pictures showing the diesel locomotives and the canal. Two diesel locomotives from behind and gate acting as valve. Canal, slop and two diesel locomotives. See here a good scheme to ease the visualization of the concept prepared by the L’Association Culture Loisirs Entente Sport (LACLES, see here their blog post with the complete explanation). Unfortunately, the water slope is not working nowadays. Nevertheless it’s worth a visit to the place, to get a glimpse of such an engineering feat. (1) To be precise the Canal du Midi (originally named “Canal royal en Languedoc”) connects the Mediterranean sea with the river Garonne in Toulouse. From there, another canal, the “Canal Latéral de la Garonne” makes the connection to the Garonne itself at Bordeaux, where it is navigable down to the Atlantic Ocean. The combination of both canals is called “Canal des Deux Mers“.